Massive range of party supplies and party accessories for all occasions, from Children's Birthday Parties, Stag Night Ideas and Hen Parties to Themed Parties & Wedding Decorations. 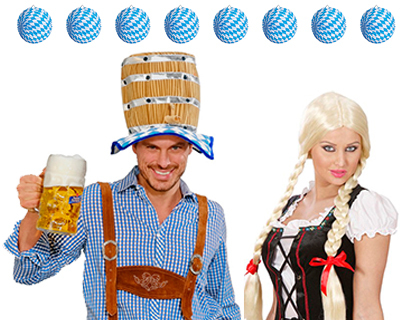 Party supplies range from Party Balloons & Accessories, Party Decorations and Bunting & Flags to Fancy Dress Costumes, Fancy Dress Wigs and Childrens Fancy Dress. Novelties Direct offer FREE DELIVERY on all Party Supplies & Party Accessory orders over £30.00 and NO MINIMUM ORDER limits. Order what you need, when you need it - watch your money stretch further! 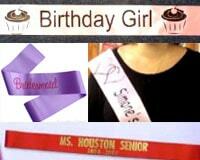 Party Supplies & Party Accessories - EVERYTHING YOU'LL EVER NEED, all in one, easy-to-order place! 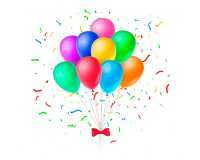 Shopping Online for Party Supplies and party accessories has never been easier ! 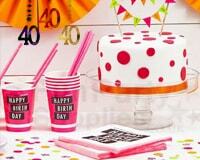 With Next Day Delivery, party supplies are delivered to your door in time for your party. 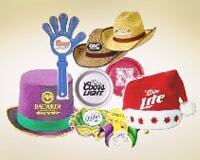 With thousands of Party Supplies & Accessories in stock to choose from, we're sure you'll find what you're looking for. 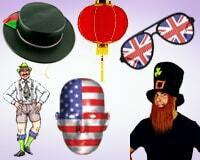 But if you can't, please Contact Us - we'll do our best to source the Party Supplies you need. Our extensive range of Party Accessories includes Party Goods for every party and celebration - our easy-to-order online shop includes Party Supplies, Party Themes, National Country Themes, Fancy Dress Costumes, this months special theme Hawaiian and tons of Special Offers to choose from. So, if you're stuck for Party Supply ideas and don't know where to turn for the best selection of Party Products, make Novelties Direct your first and final choice for all your Party Supplies & Party Accessories. Excellent service. These are needed for our school prom and I mistakenly ordered twice, The company contacted me to ask if I did actually want 2x lots which I obviously did not. Most would have just posted the order and charged for the full amount, so thank you Novelties direct. Everything arrived safe and sound. Hopefully we can do them again next year. Thank you so much for contributing to our Spread a Smile party. We are grateful to you for supplying all the novelties for our Silent Disco and as you can see from the pictures below all our guests really enjoyed them. We had over 300 children, their siblings and family members join us at the party to enjoy an extra special day out and a respite from their often gruelling hospital treatment. The party is for all the young people we meet during our visits to four London hospitals; Great Ormond Street Hospital, University College Hospital, the Royal London Hospital and St Mary’s Hospital, where we regularly take teams of entertainers to brighten the days of these young people, some of whom are in hospital for months at a time. The party is an incredible opportunity for us to bring Spread a Smile to life outside of the hospital environment and to create the maximum amount of smiles possible. Thank you once again for your contribution to this event. Hopefully be in touch soon. Slightly belated - but thank you for the novelties. The party was very successful, the novelties definitely added a the fun. I think many people even took items home - perhaps a memento! We will soon be entering into 2019 and we have lots of New Years Eve Party Supplies ready for you to have a fantastic New Years Eve Party. 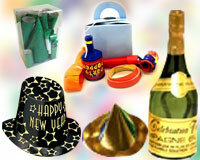 New Year Party Hats are always a success as are New Year Party Decorations and New Year Accessories. New Years Eve Parties are always full of excitement and this is added to by having loads of New Years Eve Tiara's and Headboppers as well as Noisemakers to see in 2019. We would love to hear about how you are spending New Year. Christmas is next week and we have been so busy with our orders for Christmas Parties. 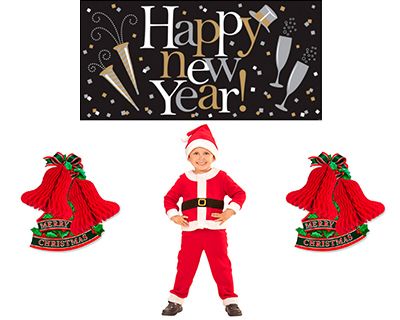 We have been sending out Christmas and Santa Hats and Christmas Fancy Dress as well as Christmas Party Decorations, Santa Hats and loads of Crackers. Christmas Accessories are also a very popular choice . There is still time to order all your Christmas Novelties ready for a Christmas Party. We would love to hear about how you are spending Christmas this year. Halloween will soon be upon us and now is time to start arranging a Halloween Party and thinking about Halloween Decorations, We have lots of Halloween Themed Ideas for you which include Halloween Accessories and Halloween Costumes which are perfect for any Halloween Theme, whether it is a Halloween Themed Party or decorating your home ready for trick or treaters. 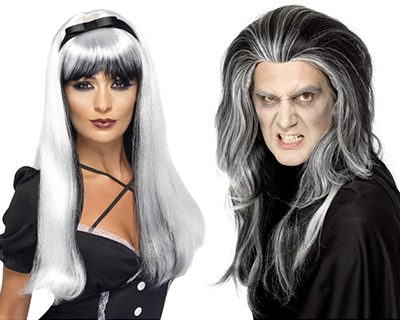 We would love to hear about how you are spending Halloween this year.